Meta description tags are very important factor that will optimize your blog in search results. With new Blogger interface we can add a meta description tag to Blogger blog without editing template's HTML. And I am sure that you will love this setting especially if you are poor at HTML editing. Normally, when we look at our skills with regards to this, we may look down at ourselves considering our limited ideas and skills. This time, I would like to tell you that you don’t have to be that kind of geek in order to edit HTML. You just have to familiarize the settings. 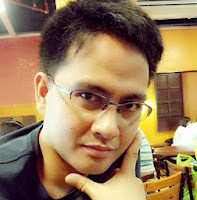 But you cannot add meta keywords to your blog using Blogger Settings. If you want to top the search engine rankings, adding meta tags is only one piece in a large algorithmic puzzle that major search engines look at when deciding which results are relevant to show users who have typed in a search query. 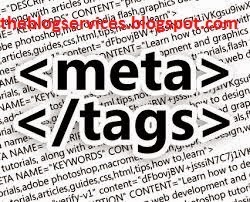 Adding meta tag on your blog HTML is another settings that you must know. While meta tags aren't the magical solution that you may have heard, they still play an important role in helping your site get found in search engines, so let’s get started. The meta description is the snippet that appears below the blue link in Google search. Words that matched the user query get pulled out in bold. What happens if you don’t write a meta description? In the best case scenario Google’s automated system will pick up a useful string of text from the page which reads well and features search terms and helps encourage the click through. Step 1. Login to your blogger dashboard then Go to Settings -> Search preferences. Step 2. Click on "Edit" link of "Meta tags" section. Step 3. Clicks on a "Yes" radio-button to enable search description. Step 4. Enter a meaningful meta description into textarea and save changes.